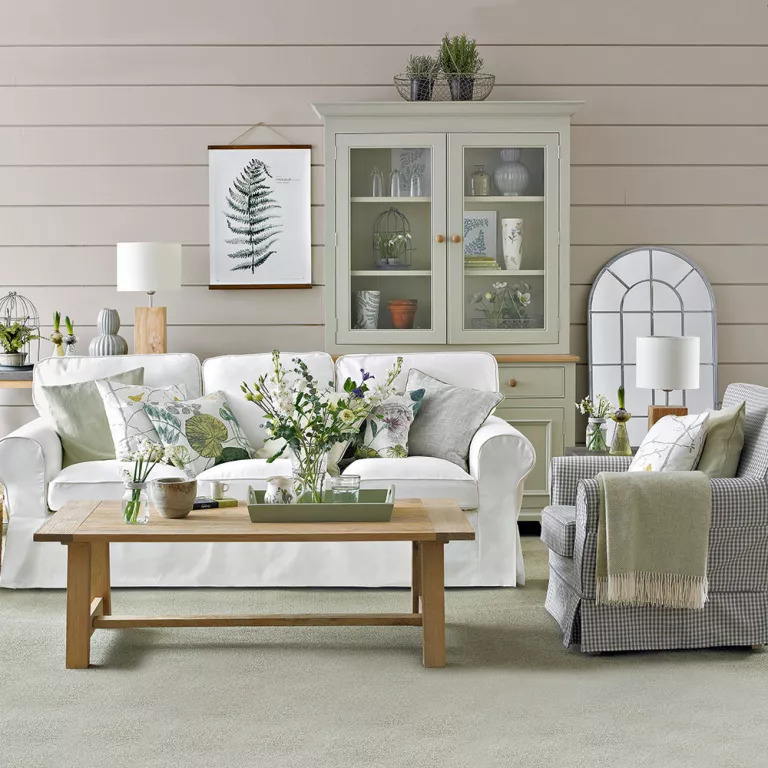 I can never aspire to have my house looking like these gorgeous interiors shown in the colour supplements. 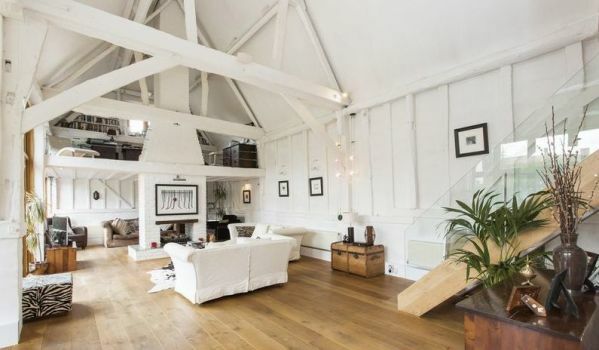 I'll never be able to afford a barn conversion. But one can feast one's eyes - and dream! What well-designed rooms have caught your eye? Gorgeous - but be on your guard against dirt! 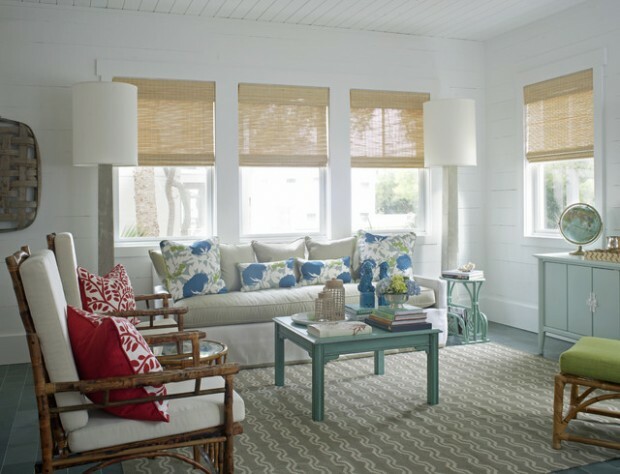 A beach cottage design - I love that shade of sea-green, and it does go well with crimson. And oh gosh - what about this one, from the same website http://www.stylemotivation.com/18-be...-inspired-sea/! Last edited by Ella Beck; Oct-27-2018 at 19:29. This style is 'Art Deco Revival' - and very nice too! Last edited by Ella Beck; Oct-27-2018 at 19:36. Last edited by Taggart; Oct-27-2018 at 19:28. I see your something more ornate and raise you to the heavens. and a swimming pool, for starters. I'd have a hard time wanting to change the artwork to put some of mine up. Have a look around. I'd like to live here. It looks as if Someone Else lives there already, and people visit Him every Sunday! Last edited by Ella Beck; Oct-28-2018 at 10:41. I do like pine kitchens - this one is from a regency house - see this site. Last edited by Ella Beck; Oct-28-2018 at 10:42. From this site - http://thewowstyle.com/30-white-bedr...for-your-home/ - a fabulous bedroom interior. but I can describe my favorite house, what my parents had. This also explains why I can think of that Russian church as a fixer-upper. I was reading one of my fathers' Scottish newspapers when I saw an article. from a famous Scottish ceramics producer. When she came to see them she said she didn't like the North American native and Australian Aborigine. and it could replace the oil painting they had by the door. That symbolized the native right to the land we lived on, and showing respect for their people. My father helped me write a letter to this Scottish firm and they agreed to sell it to us. It was truly beautiful. You could see the veins on the skin and pores on the suede. My mother was overwhelmed and put it up right away. We had a special dessert that day. My parents were founding and charter members of a Scottish church here in Welland. You can see the importance of seeing that North American native first as you came in the front door. "No church of stone and wood ever fell from heaven to earth". I could go on about Russian Orthodox just being their version of Catholicism. I could go on about our clan system bringing the Holy Bible in English to the world. I could go on about how it brought down the Holy Roman Empire and the Vatican. I'm saying that Russian church is big, big enough for public meetings I would put together. and the artwork could be enjoyed by anyone without having to be secular about it. It really is someplace I could see living in. It would inspire me every day. Here in Canada, many churches and synagogues are being sold as real estate. I'm not pushing anything new for me here. there is no longer one synagogue, all sold as real estate. congregations selling churches and uniting to be regular attendance in one church. The Church of St. Brendan the Navigator in Port Colborne is the most recent to be sold. It now has a basketball court and a jacuzzi where the pews used to be. I spent over twenty minutes using different search words before I found this virtual tour. and better as far as the technology involved. really helped me, through one of the deepest and most hopeless times of my life. He decorated my interior, and I still carry some of that inside me. Ella Beck! You seem to like a lot of white. Irish people are like that. White walls with natural wood around the fireplace is what I see most of the time. And they have some of the nicest models for fishermen knit sweaters sitting in front of them. Here's a recent painting I finished, thinking of it as a white painting. Last edited by John Watt; Oct-29-2018 at 01:59. Gosh - they even do interior design videos in America. I wish I could live in this house!